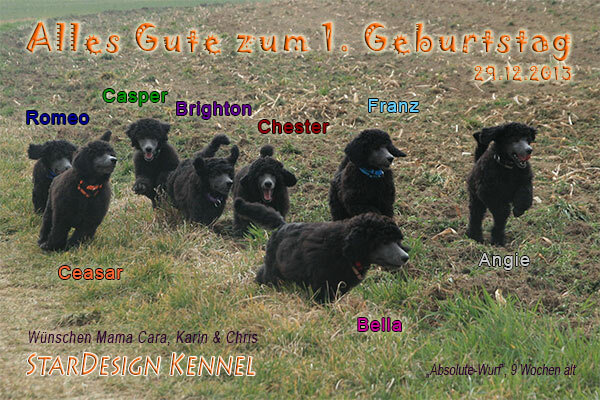 One year ago our beautiful Cara gave birth to eight sweet puppies. We are so happy all are living now at loving families! We always have some happy time to look at new photos or listen to their new adventure. Happy 1st Birthday to Angie, Bella, Brighton, Casper, Ceasar, Chester, Franz and Romeo! You all are great!